Beauty gurus and nutritionists often talk of skin care and hair care, but what about nail care? It’s true that all three go hand in hand, but there are certain steps, remedies and nail care routines that will guarantee your healthiest, strongest nails yet. Discover our 6-step routine, and see what you might be missing from yours. Nail polish remover is a harsh substance, usually containing acetone and or ethyl lactate. Both of those chemicals can weaken the nail, causing it to become brittle. It also causes the surrounding skin to become more sensitive and dries it out. If you don’t have any nail polish remover or you’re looking for a new one, we highly suggest a natural brand which is non-toxic, 100% biodegradable, and free from acetone and ethyl lactate. It works, without the risk of making your nails weak and brittle. Download it here at MY PURE. Benecos Nail Polish Remover does not contain any of the usual ingredients found in conventional polish remover such as acetone, ethyl acetate or isopropyl alcohol which means that while it is less drying on the nails it does not work as quickly as conventional polish removers. 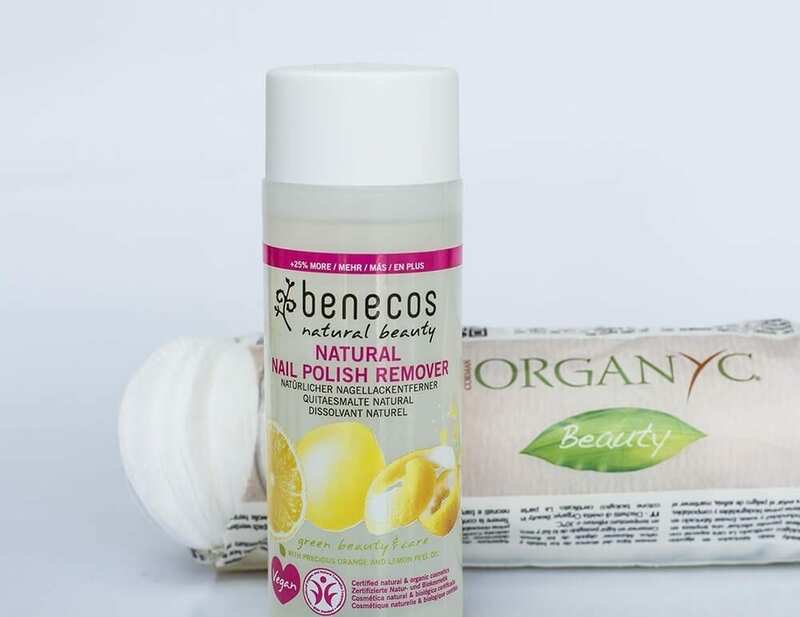 However, teamed with the Benecos nail polishes, you’ve got yourself a healthy nail polish and a fast-acting natural remover. We’re loving the Peach Sorbet colour, and can’t help but marvel at how gentle it is compared to other polishes. Vegan friendly and free from toluene, formaldehyde, camphor, phthalates, colophonium /colophony. Hello beautiful nails! Tip: If you are going to use a stronger remover, particularly one containing acetone, be sure to wash hands with a hydrating soap and moisturise directly after. Taking a shower after removal is another good idea, and after your shower your cuticles will be softer and the nails easier to trim. After trimming to your desired length, it´s time to shape. This step will give your nails a more uniform look. Any emery board file will work but a glass file works best. It’s more hygienic and gentler to your nails. It can also last longer than your disposable files as long as you clean and sterilise them routinely. After using nail tools, even on oneself, it is always good practice to sterilise the tools and allow to air dry before putting them away. 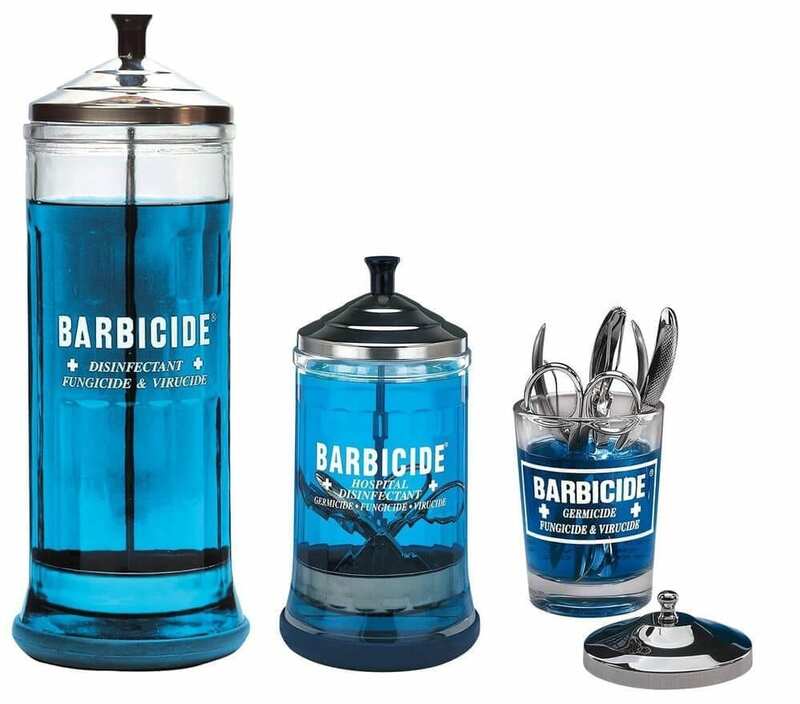 Fill a small glass with blue antiseptic liquid and allow tools to sit for a few minutes. Alternatively fill a sink with part water and part solution, and allow your tools to be completely submerged for a few minutes. Once removed place on a paper towel to dry. The reason you should do this is to prevent fungus or bacteria festering on tools. It is also good to prevent common foot fungus’s transferring to the fingers. If you use the same tools to work on your toes as well as your nails, this step is really important. It’s also important if you live in a household where nail tools are shared amongst room mates, friends or family. Order the stuff of hair and nail salons here from Amazon, alternatively you could use rubbing alcohol or dettol antiseptic solution. Cutting your cuticles can be necessary if there is an overgrowth of skin, and an excess of cuticles that seem to be growing halfway up the nails. However, if this isn’t the case, cuticles rarely need to be cut. Pushing the cuticles back or applying a cuticle remover and then pushing back is often all nails need. The good thing about cuticles is they are the bodies natural defence of infection for the nail and nail bed. If we remove these completely we leave the nail more vulnerable to infection. Here’s what you should do: Using a cuticle pusher or an orange stick, push your cuticles back. You can use oils and moisturisers to make this step easier. Softens and helps remove overgrown cuticles in one application. In just a few seconds overgrown cuticles are softened and can be “erased” with a manicure stick. Gives the nail a neat and uniform contour. Mavala specialise in the maintenance of beautiful looking nails. Arguably the most important step for soft-feeling and beautiful looking hands, nails and cuticles. Replenishing your skins moisture should be more of a habit then part of a one-off routine. I carry cuticle oil and hand cream on me in my handbag constantly. But then again, I do have quite dry skin – to the point where it can feel uncomfortable if I don’t regularly moisturise. Even if your hands are not dry, it’s important to note that the more moisture your nails and hands have, the less brittle and more stronger they’ll be. Just like hair. If you’re not good at applying this stuff throughout the day, make it a habit to apply it at least every time you wash your hands. If you’re looking for inspiration, you can’t really beat O·P·I’s handbag-ready to-go cuticle oil. It smells absolutely divine and each time you apply it, it’s as though you’re giving your nails a good long drink. Purchase it from Amazon. Before a base coat, apply a nail strengthener first. 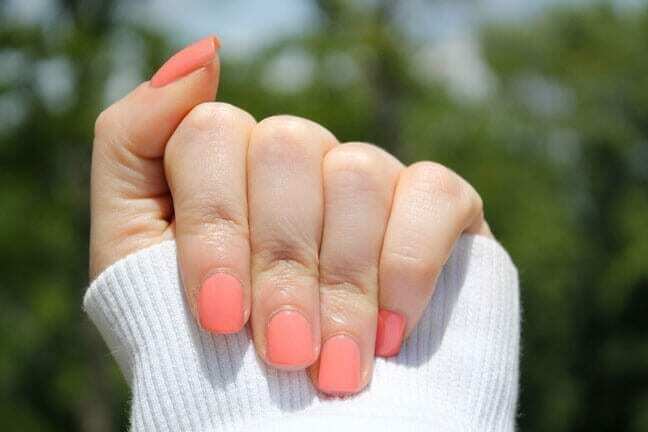 Or completely skip the nail polish entirely and give your nails a break with just some nail-growth formula. This won’t only help protect and nourish your nails, it will also prevent extreme drying from detergents and other regular substances we submerge our hands in. We’re really into this Superfood formula by NailsInc, packed with vitamins and minerals, it not only nourishes the nail, but works to brighten them as well. Purchase from Amazon.